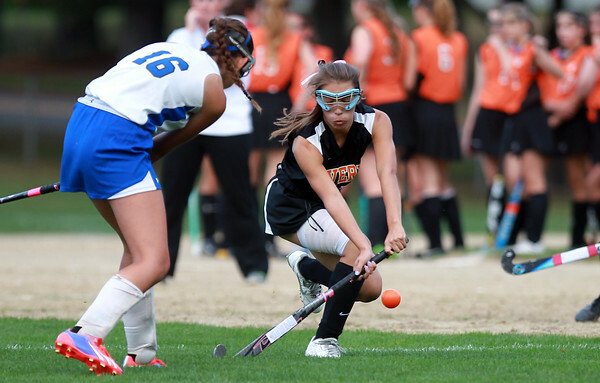 Beverly's Erica Beaudry steps up to block an upfield hit by Danvers' Raquel Leslie (16) during the second half of play. The Panthers fell to the Falcons 5-0 in NEC field hockey action on Tuesday afternoon. DAVID LE/Staff photo. 9/16/14.